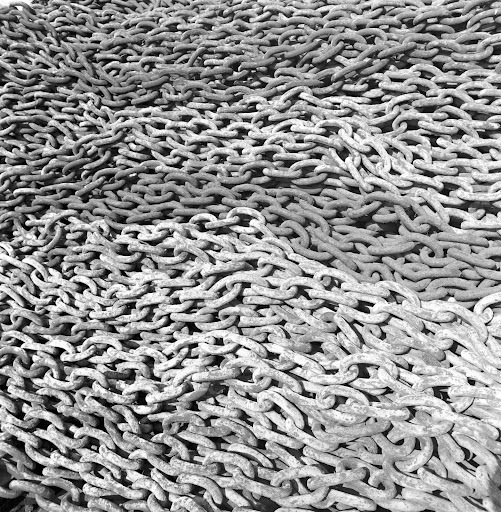 A Pile of Chain. Presumably at a shipyard in Japan, soon after our arrival there. Middle 1960s.